Until recently, VW was on pretty solid ground as a growing presence on the North American market, but let’s take a look back at a time when VW’s existence here was very much in question. The North American Quantum definitely epitomized that time, with a pokey 1-7-liter 4-cylinder, awkward styling, and a marketing strategy that didn’t know where it wanted to be – frugal and well-made like a Beetle, or spartan-lux like most of its European contemporaries. Indeed, there’s little except maybe the goodwill and better service network from the Beetle days to differentiate this from a contemporary Renault, and we all know where Renault went in the late 1980s. 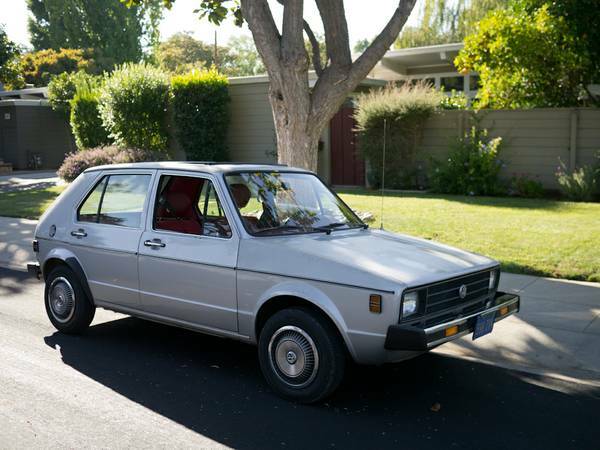 So let’s check out a remnant from those early water-cooled days, this 1982 VW Quantum for sale for $1299 in Portland, OR.